Various methods are available to resurface the skin to remove signs of aging and sun damage. These procedures can result in finer texture, improved clarity, more even pigmentation and soften fine wrinkles, giving a more youthful refreshed look to your skin. Chemical peels offer patients an effective way to remove the signs of aging and sun damage from the skin. Laser treatments and chemical peels often provide patients an alternative to surgical procedures that may require a more extensive recovery period and anesthesia. However, these treatments will not significantly tighten very lax skin—that would require a procedure like a facelift or blepharoplasty. The TCA Peel is among the oldest forms of skin resurfacing and, therefore, has a long track record of being highly successful. TCA stands for trichloroacetic acid is a common chemical used to perform medium depth chemical peels. The TCA Peel can help improve skin texture and tone, while reducing the appearance of fine wrinkles and discoloration. The TCA Peel is not recommended to treat deep wrinkles or those with a high tendency to develop hyperpigmentation. No pretreatment is required, however, most peels heal faster if one has been using a retinoid previously. Dr. Sardo applies the Vi Peel or Vitalize Peel in two stages. It takes about 30 minutes. It may tingle on initial application for a few minutes. Instructions are given for the simple home care. You can continue your usual activities, avoiding sun exposure and rubbing your face. Over 2-7 days, the skin peels fine flakes like that of peeling sunburn. The TCA Peel typically takes around 45 minutes. After the skin is thoroughly cleansed, TCA solution is applied. Patients often report a stinging sensation, however this is well tolerated and quickly passes. The skin generally darkens depending on how much pigmentation you have and is cared for with an anti-inflammatory cream and Vaseline or Aquaphor. You may be prescribed antibiotics and an antiviral medication if you are prone to cold sores. The skin peels in sheets from 2-10 days revealing fresh new skin. Sun exposure, heavy activity and sweating in this period are to be avoided. Any residual pinkness usually fades over the following week. Immediately after receiving the Peel, patients can resume normal activity. Patients are also allowed to wear makeup prior to and after the peeling. Within the first 24 to 48 hours there will be no obvious affects to your skin, but after 72 hours the skin will begin to peel. Within seven days the entire peeling process will be complete revealing improved skin texture, tone and clarity. The Vi Peel can be repeated every four weeks until the desired results are achieved. The majority of patients report seeing a noticeable difference after the first peel and tend to be very satisfied. The TCA Peel may take several weeks to produce results. The TCA Peel will yield skin that has better texture and tone as well as a more even color and appearance. Many patients find that the appearance of their fine lines and wrinkles greatly diminish and notice a much more youthful complexion. It is important to avoid sun exposure and to not over exfoliate, as this could put you at risk for redness and irritation. Occasionally, there may be a reaction to one of the peel ingredients, which may cause swelling, excess itching, redness and require additional medication and topical treatment to resolve. It is extremely important with any type of peel that the physician’s instructions be followed in detail. Costs of chemical peels range from $195 to $950. 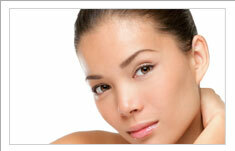 CO2 Laser resurfacing is generally several thousand dollars.